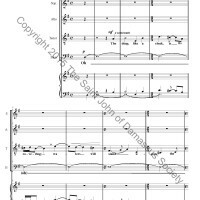 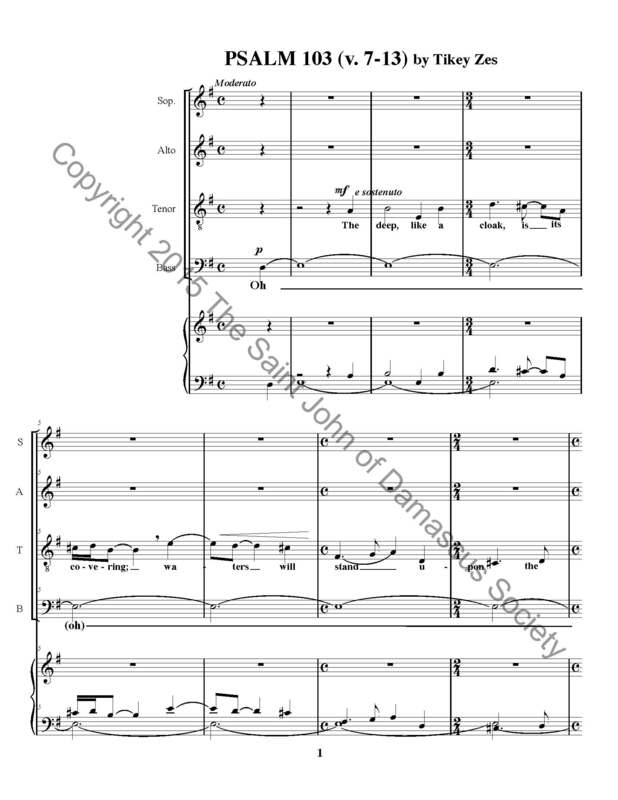 We want to provide a little bit of a sneak preview of a few pages of the score, and something of a talking through — however inadequate — of what the composers have done. 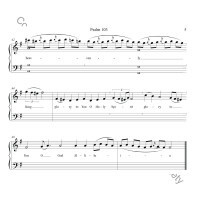 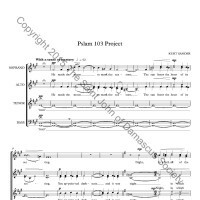 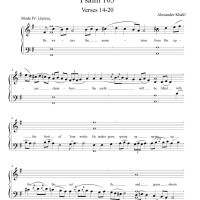 To begin with, in their search of a schema that would make this a unified piece, the composers turned to the liturgical use of Psalm 103. 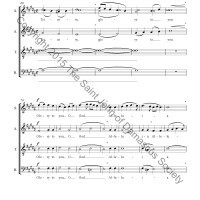 They employ a refrain at the end of each section, with the same melodic material each time: “Glory to you O God, Alleluia”. 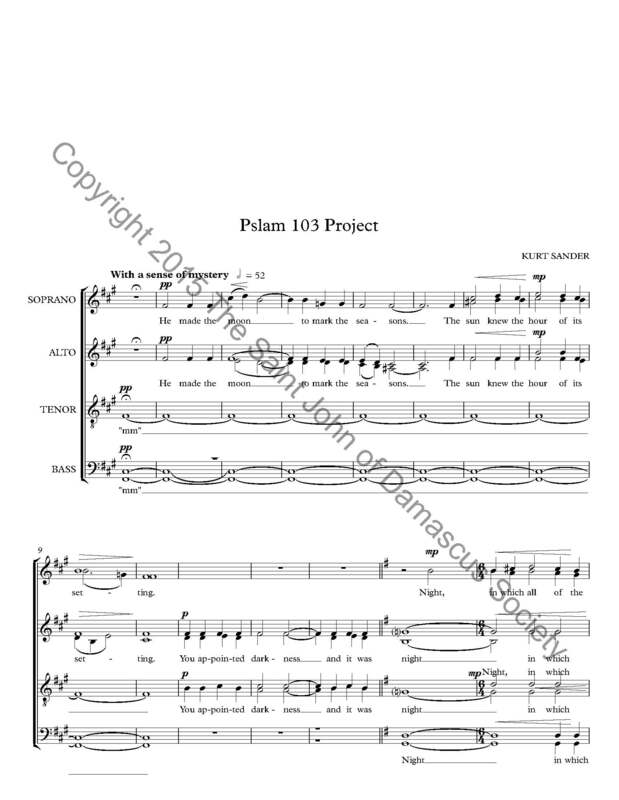 This functions as both a unifying theme as well as a point of development. 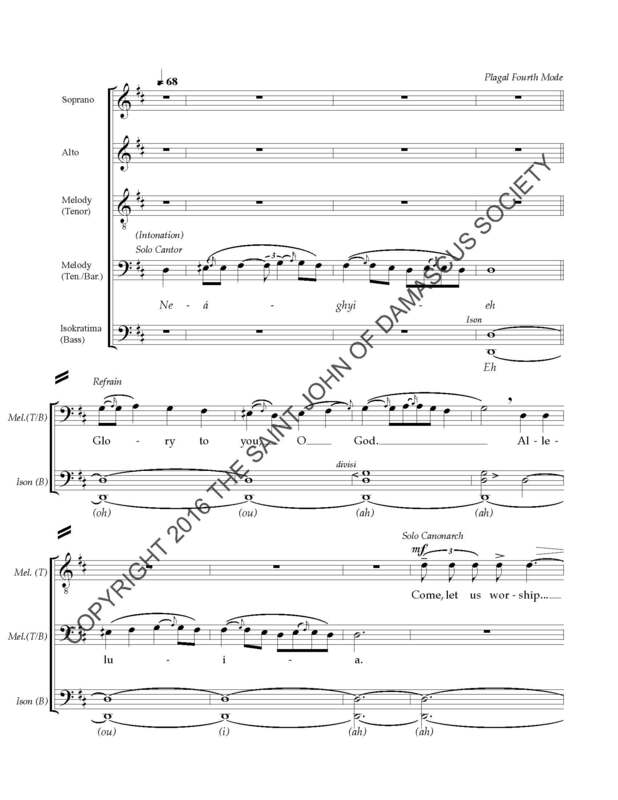 The composers have also employed the Trinitarian Tropes of the Anoixantaria at the end of each section — such as “Glory to you, O begotten Son, glory to you, O Holy Spirit, proceeding from the Father and resting in the Son, O Holy Trinity, glory to you” — and the composers have also included other elements from liturgical context and performance, such as “Come, let us worship and fall down before God, our King” etc. 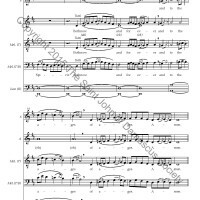 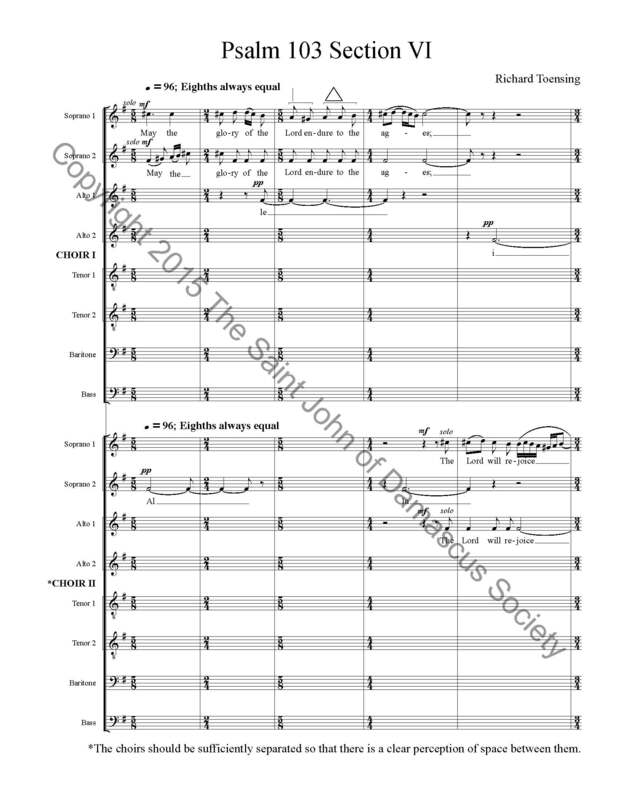 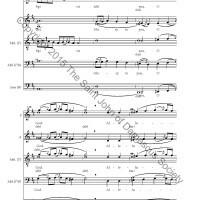 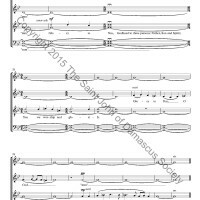 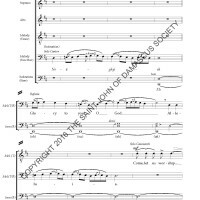 John Michael Boyer’s section, scored for a mixed ensemble singing in a unison texture, begins with an intonation for the Plagal Fourth Mode, and a statement of the refrain. 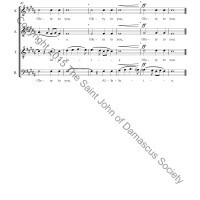 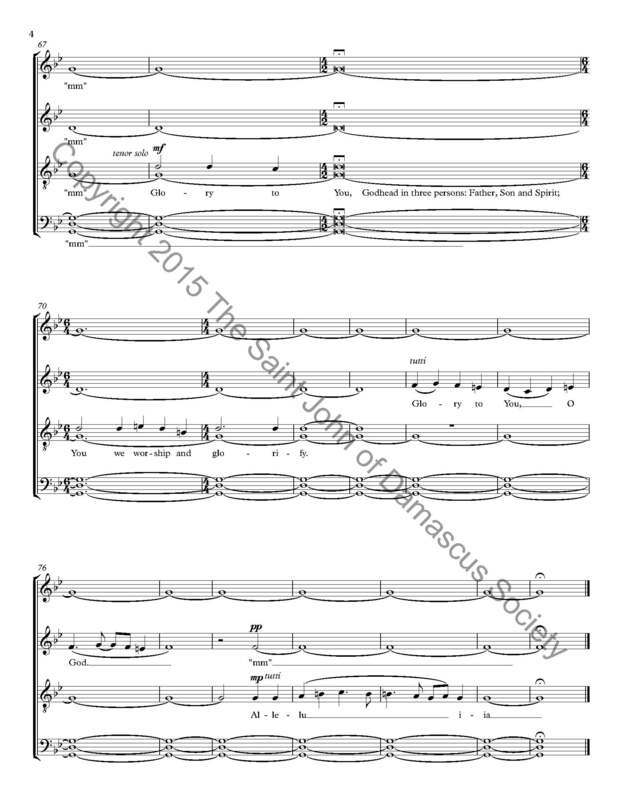 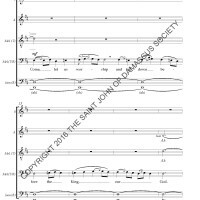 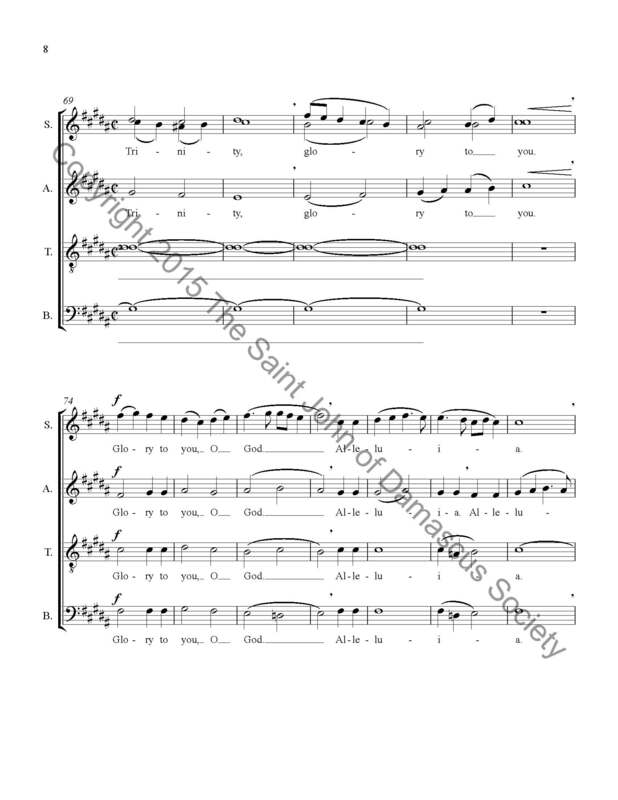 A soloist then serves the liturgical function of canonarch, effectively “lining out” the text for the choir beginning with the invitatorium. 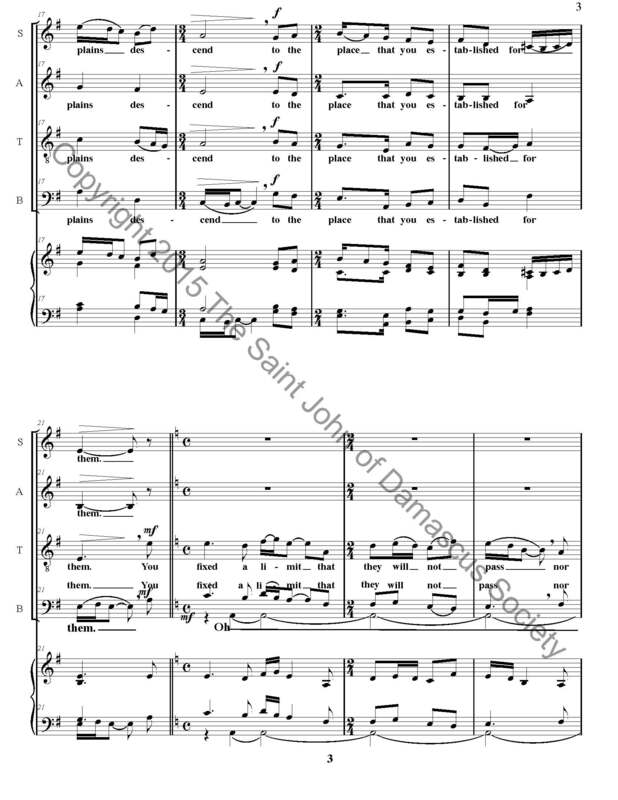 After “wrapping yourself with light as in a cloak”, John repeats the refrain, then has a soloist give an intonation for Plagal Fourth triphonos, a more syllabic texture with the melody based a fourth up from the previous root pitch of D. John finishes his section of the Psalm’s text in triphonos, passing the melody and the drone back and forth between voices, then returning to the root pitch of D for his Trinitarian Trope and refrain. 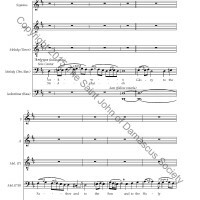 He ends on all four parts splitting to sing an open fifth, D and A.
Tikey Zes is next, picking up John’s D, and making it the first pitch of an intonation that roots his melody on E. An initial verse in a minor mode chant melody then expands into an SATB texture. 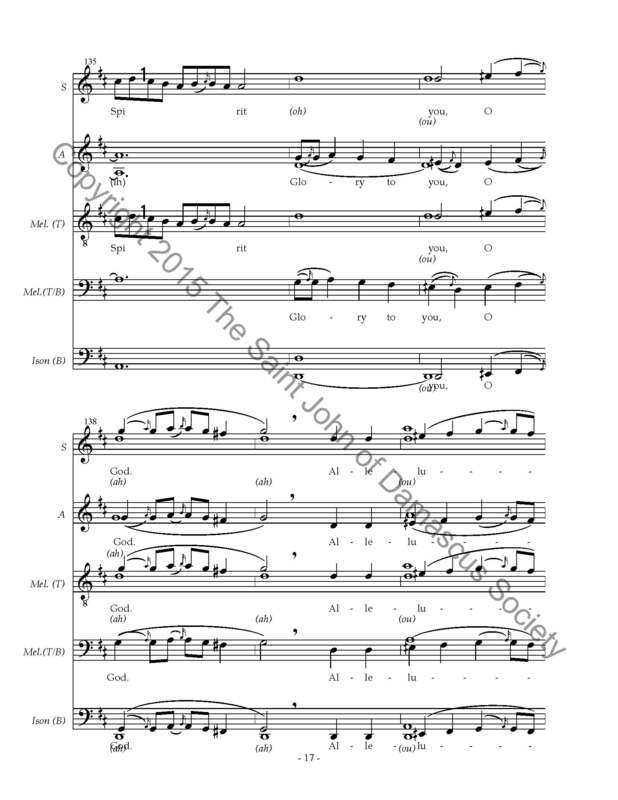 The key signature shifts to three sharps, and right when you think he’s going to finish with a tonic resolution in A Major, he ends rather with a V chord, E Major, with no seventh (and the third very lightly represented in the alto part). 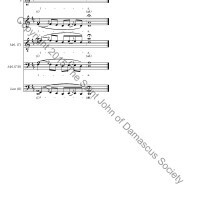 Alexander Khalil does something very interesting with his section; he moves directly from Tikey’s E to F#, using it as the basis for moving within Fourth Mode diatonic (“Legetos”). 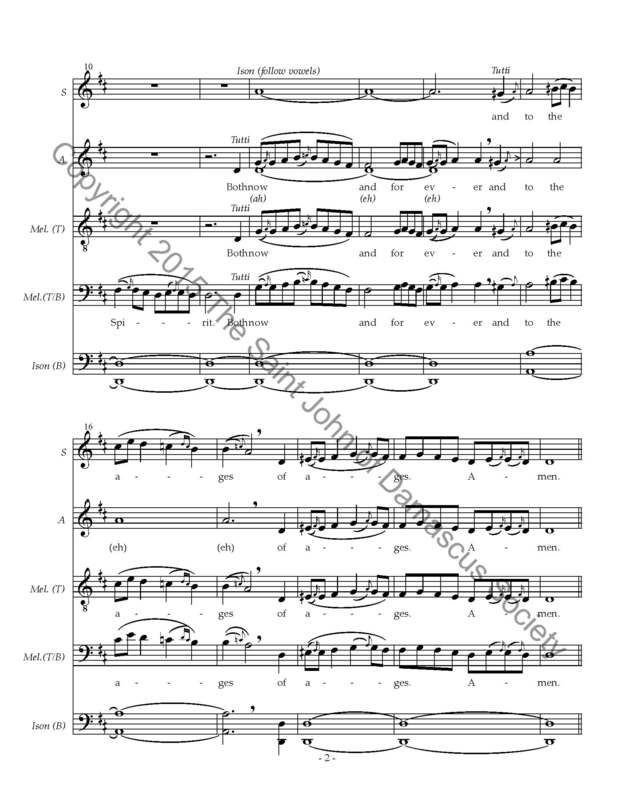 He writes a unison melody with a three octave range, intending for it to be seamless — his idea is that everybody sings everything, and that you drop out when its no longer in your range. 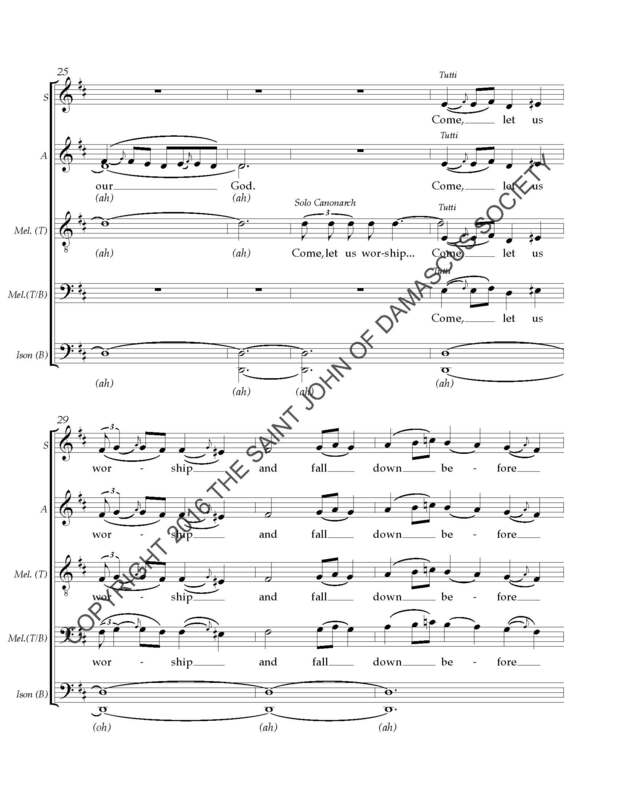 It will be a fascinating effect, and I’m really interested to hear how it comes across. 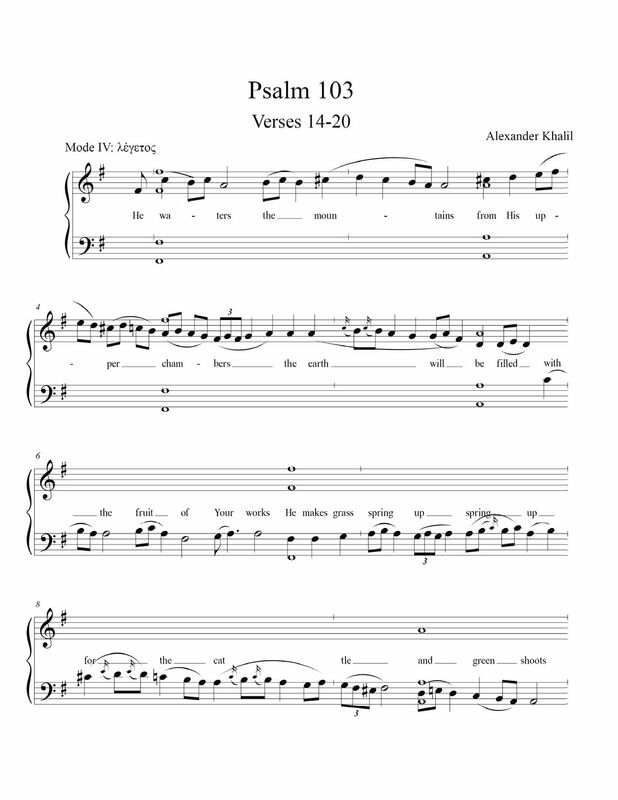 Kurt Sander takes Alexander’s ending F# and uses it for a drone with an added fifth in the bass, modulating to G Major — but then ending his section in G minor. 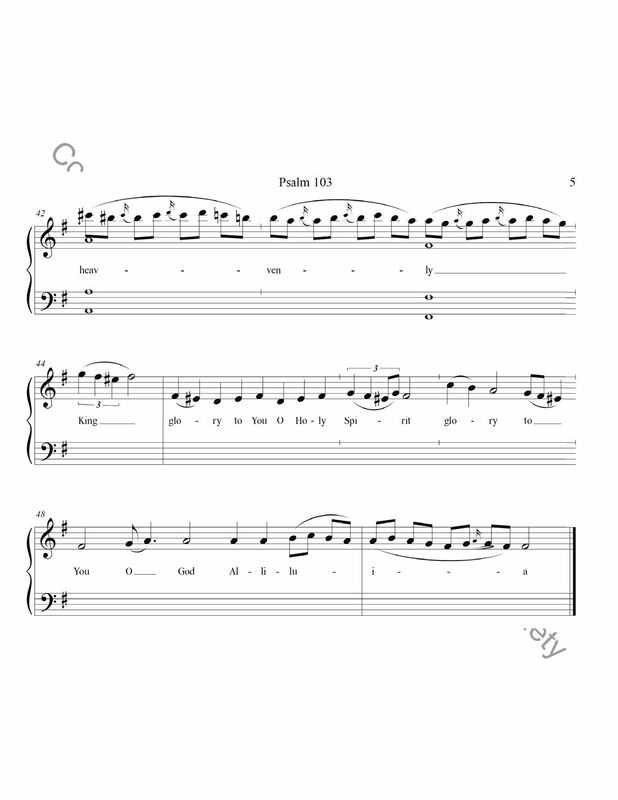 Kurt’s dynamic contrasts in particular are very nice, with a fantastic climax on “How magnified are your works, O Lord, in wisdom have you made them all!” and a sublime pullback on “and the earth is filled with your creation”, leading to a recitation of the Trinitarian Trope and Kurt’s statement of the refrain. 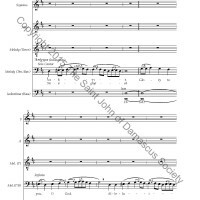 Matthew Arndt then writes in an idiom strongly inspired by Georgian harmonies, with three part textures and a lot of moving in fifths. 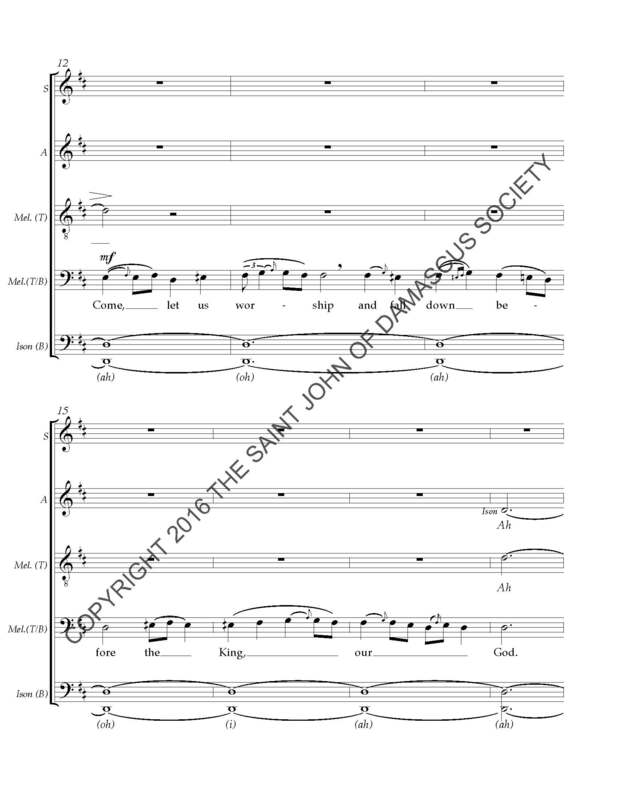 Matthew depicts vividly the “dragon” that God fashioned to sport in the waters, and then builds inexorably towards “And you will renew the face of the earth”, with all four parts stating that before an antiphonal handoff of the refrain between T/B and S/A. 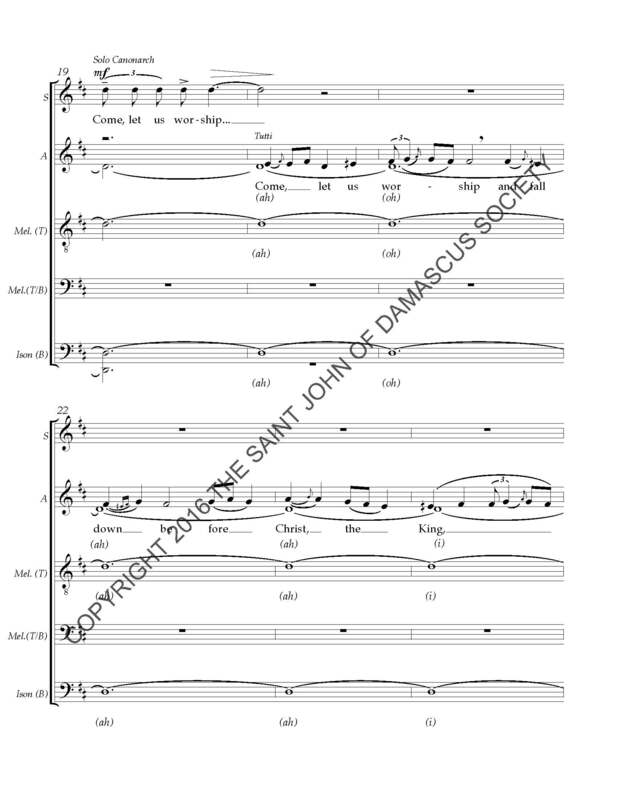 Richard Toensing then decides he’s going to come in with antiphonal 8-part choirs, because why not? 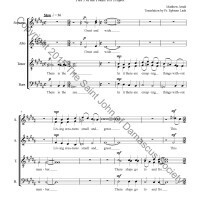 He grabs Matthew’s F#/C# open fifth and does a big development section with his material, finally closing on a D/A open fifth — John’s original root pitch. 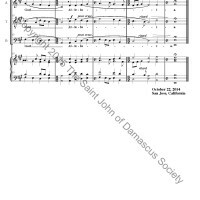 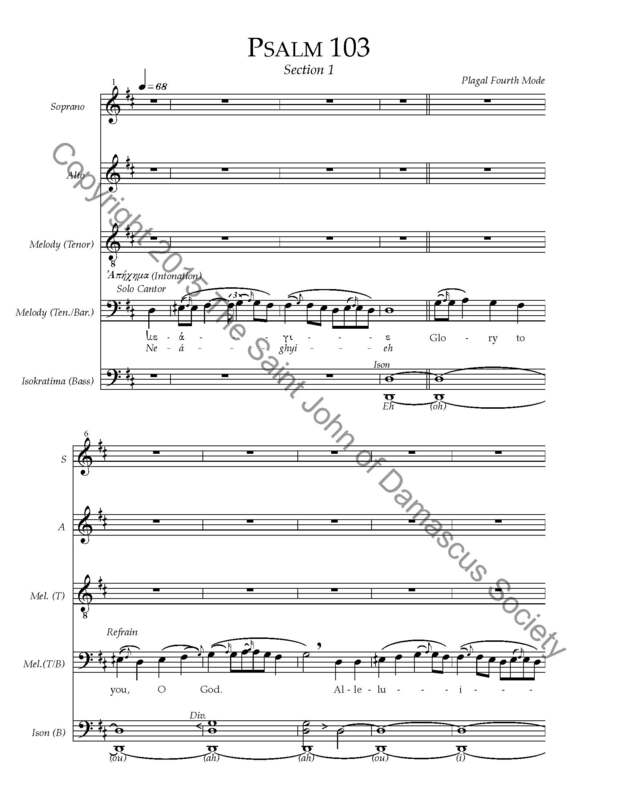 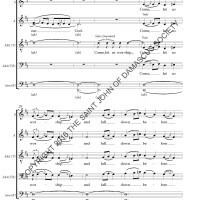 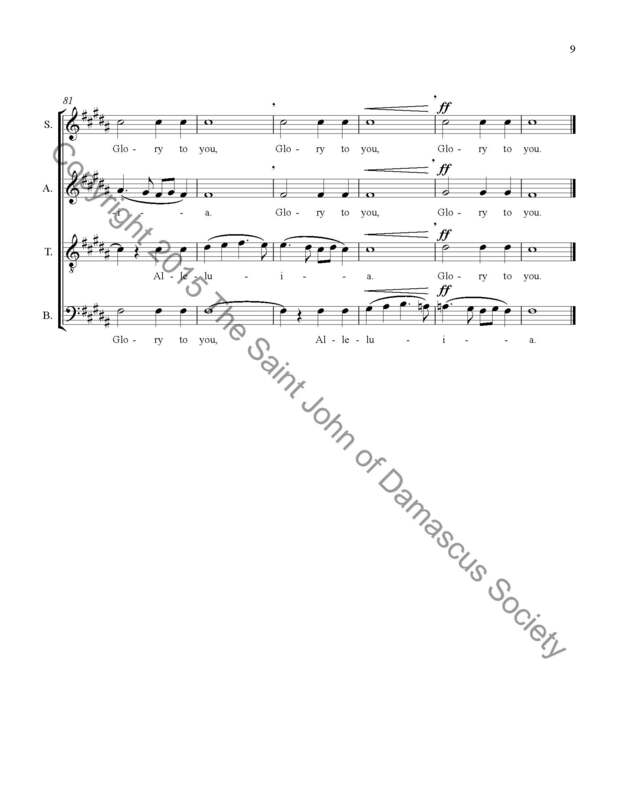 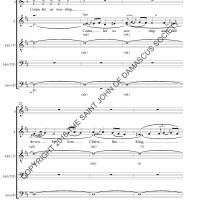 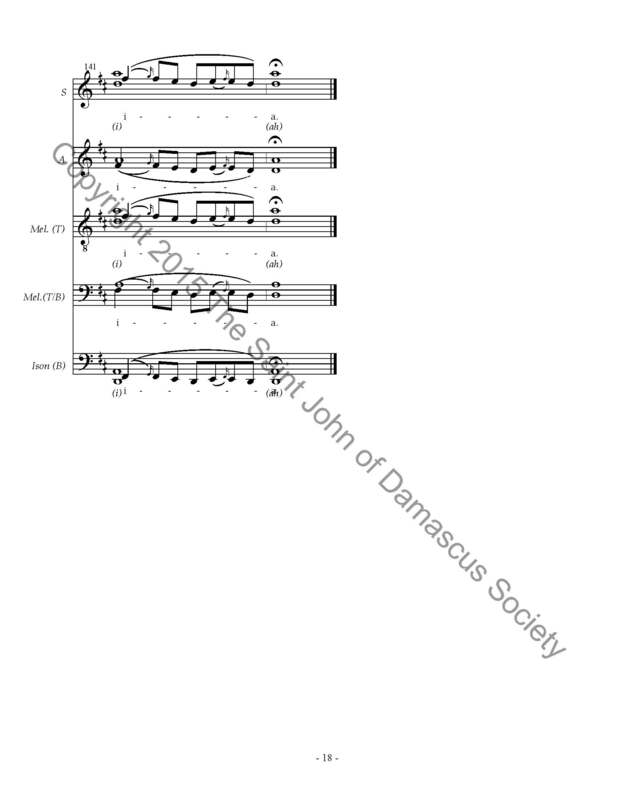 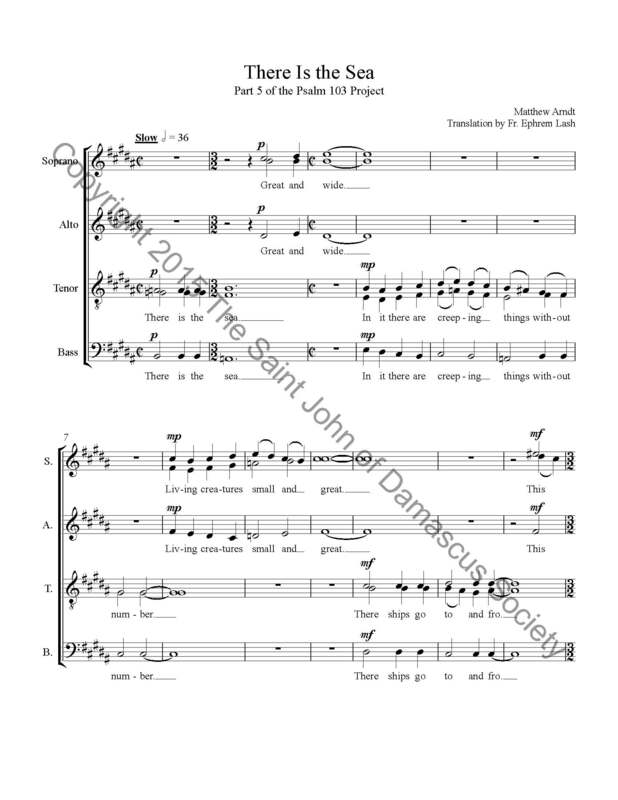 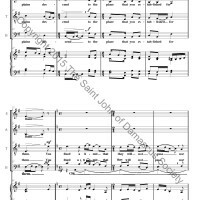 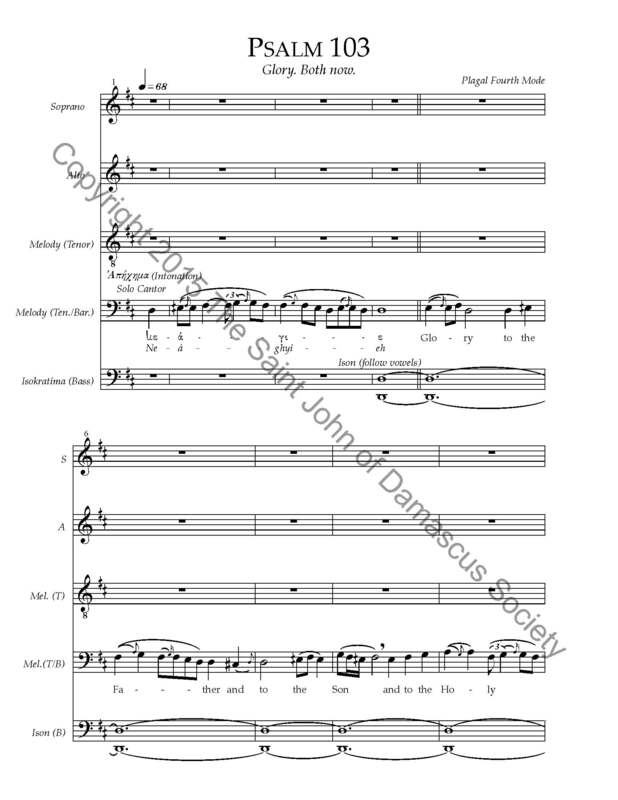 John gives another intonation, the Glory… and the Both Now…, and then Richard comes back in with a stunning, final “Alleluia, Alleluia, Alleluia, Glory to you O God” exclamation.